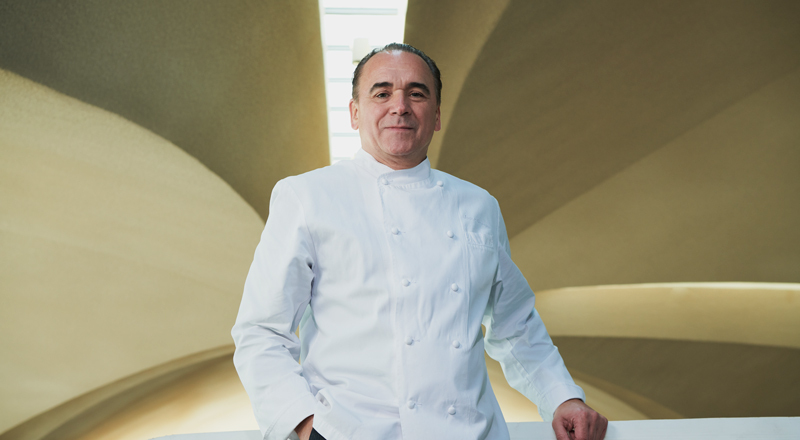 Jean-Georges Vongerichten at the TWA Flight Center in 2018. Bon appétit! Celebrated chef Jean-Georges will open the historic Paris Café. Jean-Georges meets the Jet Age. 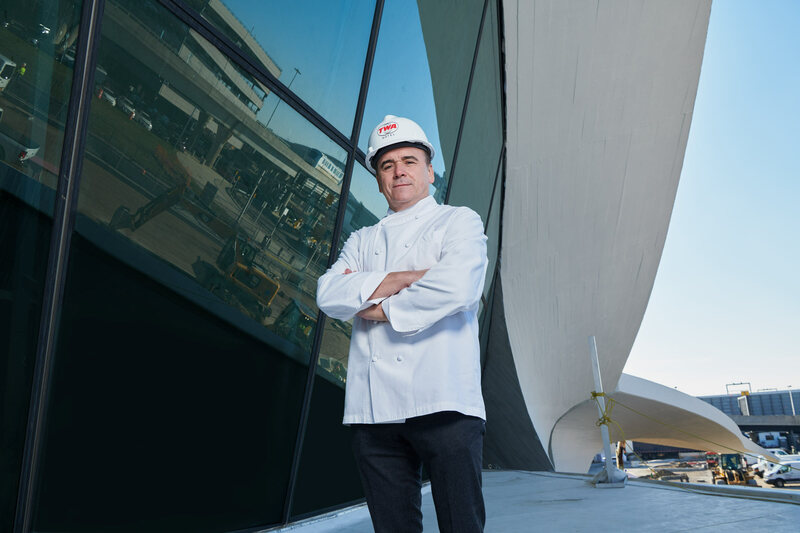 World renowned chef Jean-Georges Vongerichten will premiere the Paris Café restaurant at the 512-room TWA Hotel at John F. Kennedy International Airport, opening on May 15, 2019. The restaurant will serve breakfast, lunch, dinner, snacks and cocktails at a medium price point. Reservations for the Paris Café will open soon; please add your email address to our email list to be notified. 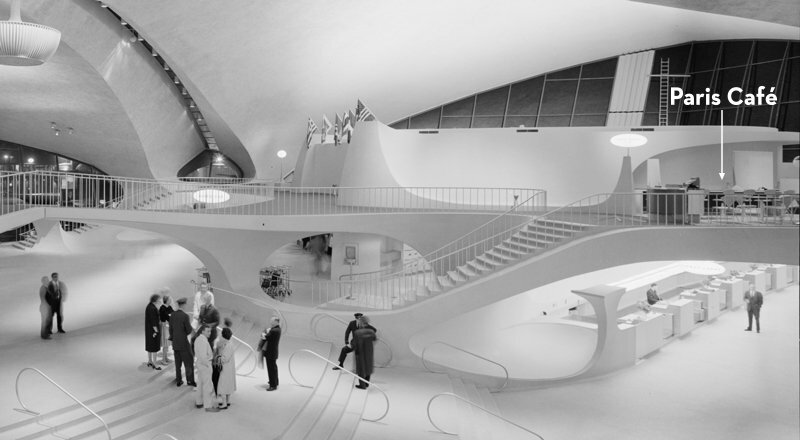 The former TWA terminal circa 1962. Located in the heart of the 1962 Eero Saarinen-designed TWA terminal, the Paris Café by Jean-Georges will encompass the entire footprint of the terminal’s original Paris Café and Lisbon Lounge, which have been dark since 2001. The spaces were originally outfitted by famed Parisian industrial designer Raymond Loewy — the mind behind the 1955 Coca-Cola contour bottle, the 1959 TWA twin globes logo, the 1963 Studebaker Avanti and the 1962 Air Force One livery. Vongerichten at the TWA Hotel in 2018. The restaurant’s name holds special significance for Vongerichten: Raised on the outskirts of Strasbourg in Alsace, France, the chef trained in classical French cuisine at Auberge de I’lll in Alsace and L’Oasis in southern France before developing a passion for flavors of the East at luxury hotels in Bangkok, Singapore and Hong Kong. 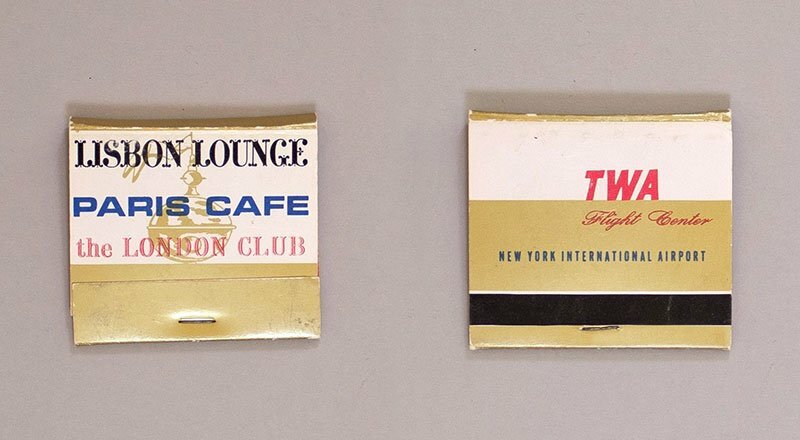 A vintage matchbook bears the Lisbon Lounge and Paris Café logos. 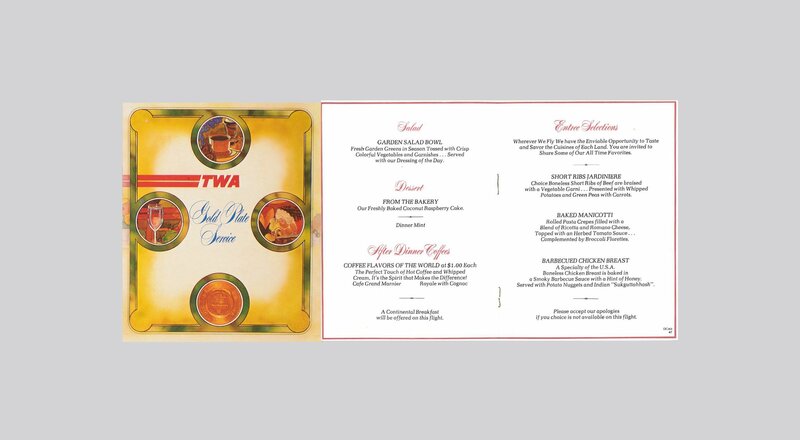 While crafting the restaurant's menu, the TWA Hotel team has been researching historic in-flight menus from Trans World Airlines. Click through to see some favorites. Chicken Champagne, anyone? 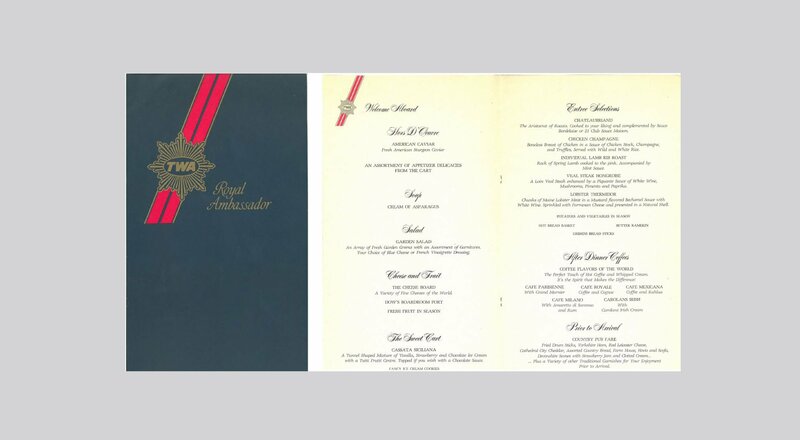 TWA's Royal Ambassador service included French-inspired items such as Chateaubriand and Chicken Champagne. 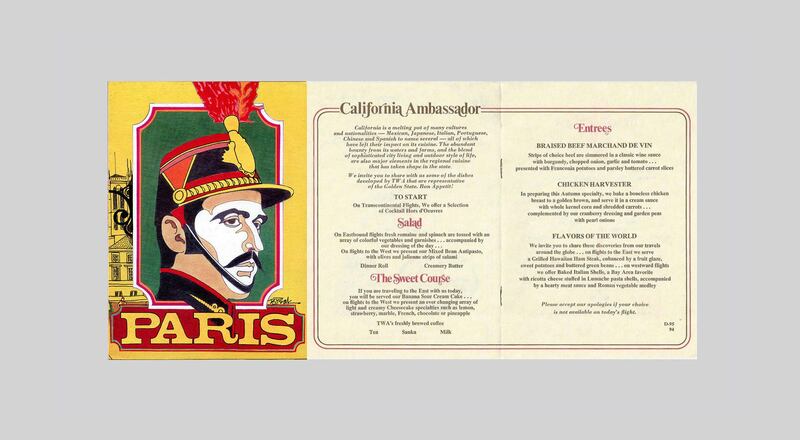 TWA's Taste of Europe menu from the 1970s offered Crepe Farcie aux Fruits de Mer as hors d'oeuvres in first class. 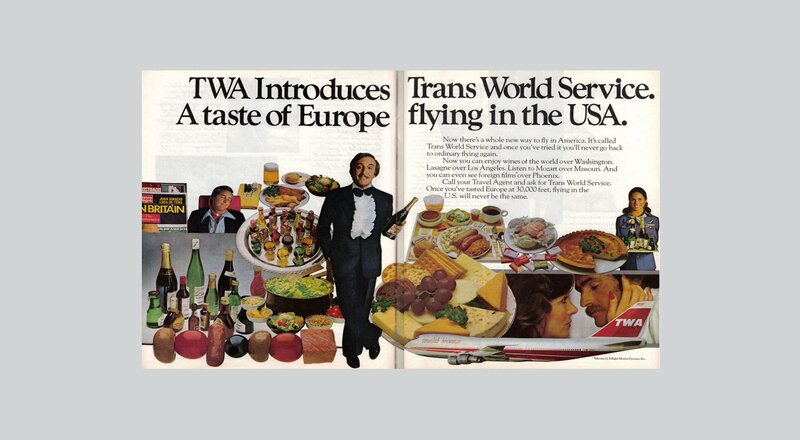 Actor Peter Sellers introduced "a taste of Europe" in TWA’s 1975 advertising campaign. Coffee flavors from around the world — with spirits — were served as part of the Gold Plate menu. In the 70s, passengers enjoyed Roast Loin of Veal ”Elizabeth” in honor of the Silver Jubilee Year of Queen Elizabeth II. 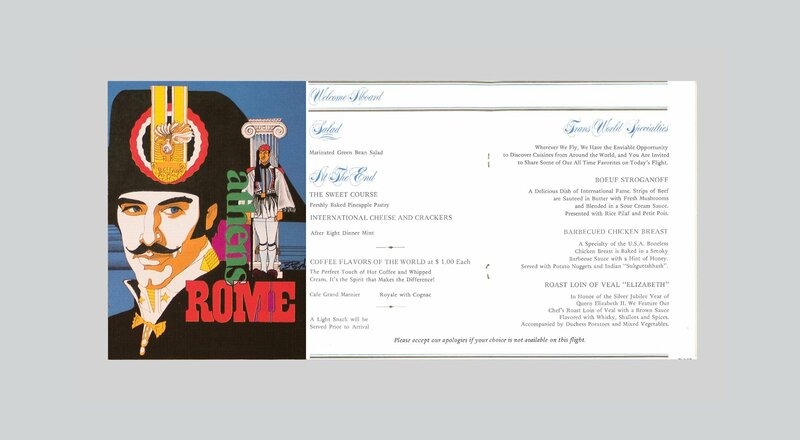 The menu was designed by Bob Peak.